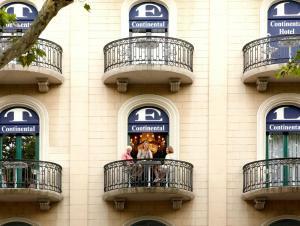 Set on Las Ramblas and next to Plaza Catalunya, the Hotel Continental offers charming rooms with free Wi-Fi and a fridge. 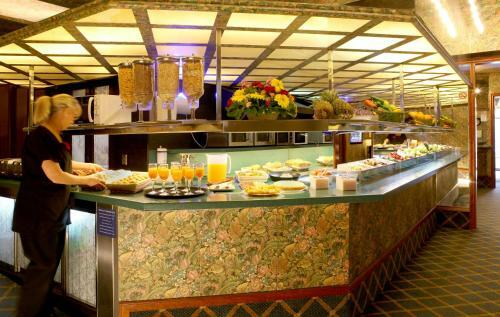 A free continental buffet is available 24 hours a day. Decorated in pink, the Continental's air-conditioned rooms include a private bathroom and flat-screen TV with satellite channels. 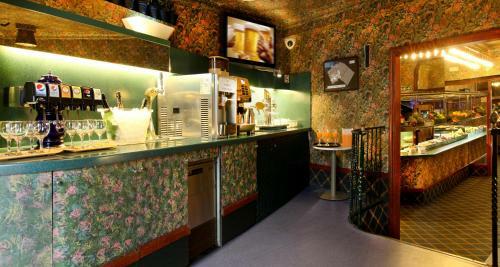 A microwave and crockery set are provided, and guests are welcome to fill the in-room fridge with food from the buffet. 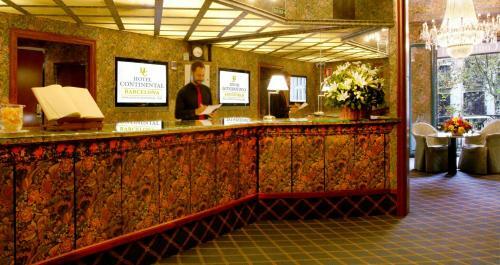 Hotel Continental Barcelona operates a 24-hour reception, allowing guests flexibility during their stay. 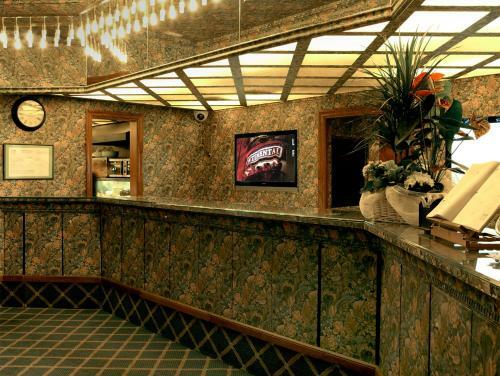 Currency exchange and car rental can be arranged at the hotel’s tour desk. 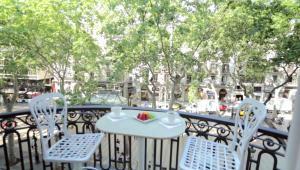 The hotel is a 1-minute walk from Catalunya Metro Station. 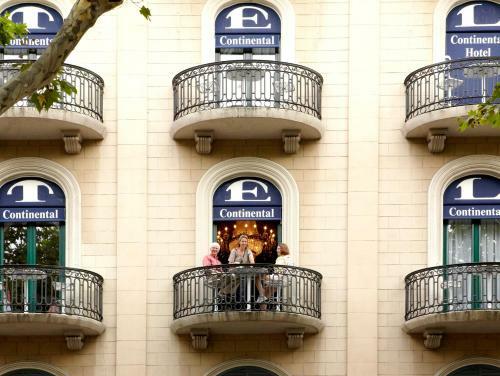 The Raval and the Gothic districts are a 10-minute walk from the Continental Hotel. 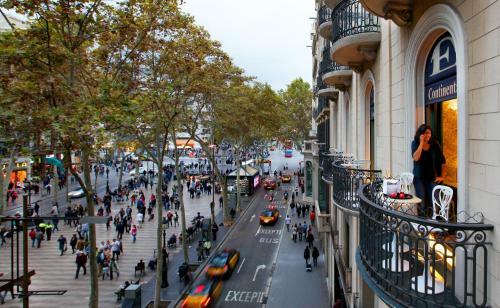 Barcelona’s Museum of Contemporary Art is 300 metres away. 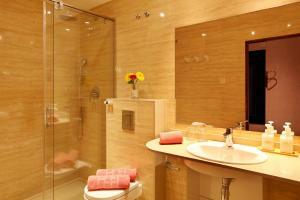 These romantic, air-conditioned rooms have satellite TV, free Wi-Fi, a safe and a private bathroom with hairdryer. A microwave and crockery set are provided, and you are welcome to fill the in-room fridge with food from the free 24-hour continental buffet. Rate: € 82.00 ... € 122.00; select dates below to get current rates. 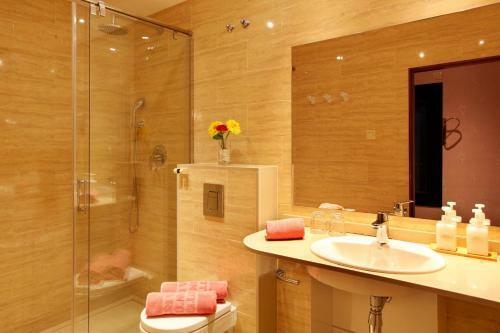 These romantic, air-conditioned rooms have satellite TV, free Wi-Fi, a safe and a private bathroom with hairdryer. A microwave and crockery set are provided, and you are welcome to fill the in-room fridge with food from the free 24-hour continental buffet. This room comes with a large double bed or 2 single beds. Rate: € 98.00 ... € 138.00; select dates below to get current rates. These spacious, air-conditioned rooms have a balcony with direct views onto the Rambla. 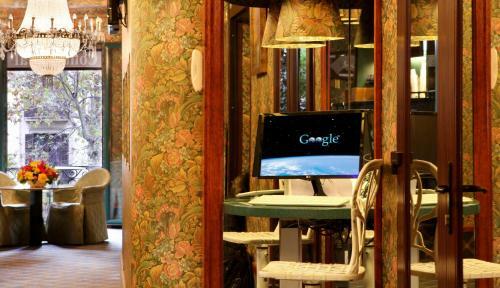 It has satellite TV, free Wi-Fi, a safe and a private bathroom with hairdryer. A microwave and crockery set are provided, and you are welcome to fill the in-room fridge with food from the free 24-hour continental buffet. Please note, due to maintenance works on the façade, the visibility of the exterior side might be affected during your stay. Rate: € 108.00 ... € 158.00; select dates below to get current rates. This double room features air conditioning, satellite TV and microwave. Please note, extra beds cannot be accommodated in this room. Rate: € 89.00 ... € 129.00; select dates below to get current rates.